From copious powder to massive rails, any true ski destination's got to have it all. And good skiing for the hours in between clubbing is also nice. 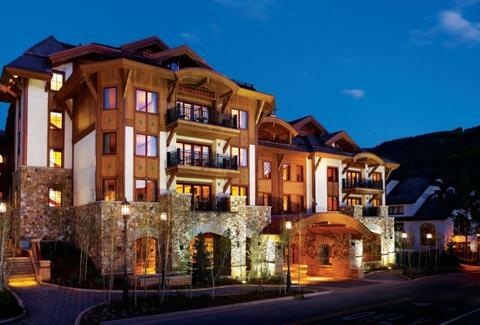 For a new destination whose amenities make Big Bear look like Boo Boo, book a trip to The Sebastian. Formerly the Vail Plaza Hotel and Club, the aggressively renovated Sebastian's an upscale boutique resort with brand new food 'n party spots, luxe new sleeping quarters decked out in dark wood and light leather, a freshly dug outdoor heated pool with four Jacuzzis, and the revamped Bloom Spa rocking a special room for hydrotherapy, which leads many patients to recall powerful repressed memories about Funyuns. Dining comes via the earthy, rust-colored Block 16 (named for the highest quality producing plot of a vineyard), which boasts a 1,000-bottle silo and plates slow cooked meats (pork belly & roasted foie gras) alongside signature dishes like "Duck & Orange" (pan seared duck confit in a Grand Marnier reduction) and the Maine lobster/braised veal cheeks "Mar & Montana", also a failed talkshow on which Bill big-times the aged quarterback. For post-run boozing, the glitzy, faux-ice shingled Frost Bar's slinging tapas alongside the "largest Scotch collection on the mountain", with 80 selections from Johnny Walker's Blue King George IV to a 25-year aged Speyside (VIP tastings can be arranged), as well as specialty cocktails like a horseradish Martini with green peppercorns and an actual shrimp, and the "Pow Pow" with orange vodka and Pop Rocks -- though down too many, and you're sure to become a Keith Urban legend. And if you actually want to, you know, ski, they'll also coordinate backcountry trips ranging from half-day excursions to four-day adventures based out of a remote hut, though unless it's that Pizza Hut off the freeway in San Ysidro, you're on your own again for the rails.